Data Science field is spreading its wings and flying high, and so is the demand for Data Scientists. With it gaining colossal traction, there seems to be some misconceptions and myths piling up too. 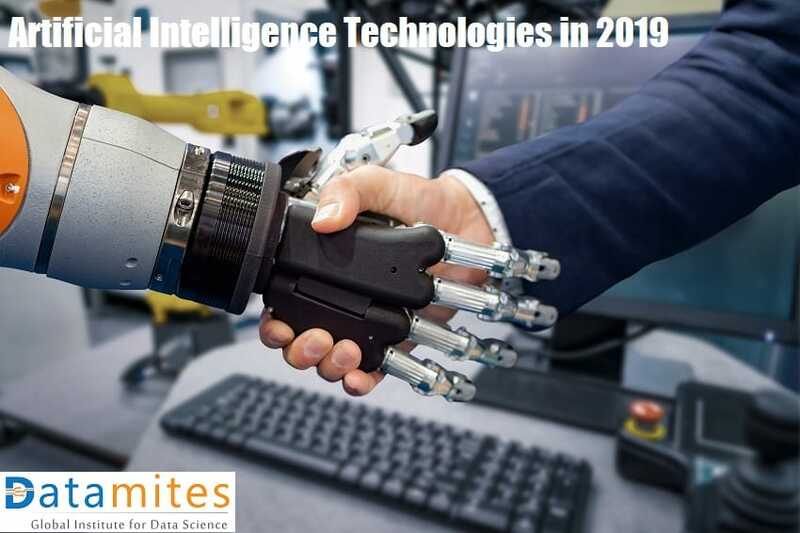 We know about the astounding power that Data Science has in helping organizations to crack their massive volume of data to gain useful business insights, correspondingly, it is essential to debunk these prevailing myths. 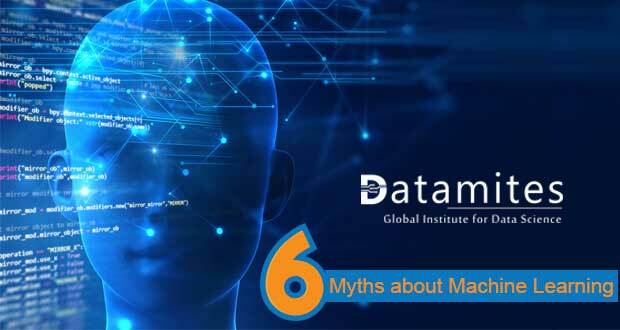 For this very reason, DataMites™ has brought together a panel of Data Science experts to crack these prevalent myths to help both the organizations and professionals to gain better visibility. Shall we start cracking the myths one by one???? If you still think that Data Science is the field for a restricted group of people with precious eggheads, then you are wrong already. The truth is anybody can dwell into this field after a proper training or learning. But unlike other programming jobs, you need statistics and probability understanding since most of the predictive modeling techniques are based on these concepts. However, you would have acquired these skills in college itself. Isn’t it? Furthermore, with the availability of sophisticated tools and software, Data Scientists are not going to use the complex formulae and equations every time. So, what exact skills are required for a Data Scientist to burst the data? It is essential to understand the interpretation of these techniques of when and how to use them, rather than the mechanics of the application. Today, there are many open source curriculum that can teach you Data Science, but their focus is on the mechanism rather than the interpretation, but DataMites™ is the only place where you can learn when to use these formulae and how to interpret the results. By now, you would have understood that Data scientists don’t need to be mathematical geeks or a Ph.D. holder but what they need is logical ability, common sense and lots of practice to make a proper analysis. More often than not, people start learning SAS or R thinking that it will fetch them more interviews for their Data Science career. Remember, if you learn SAS, then you are a SAS programmer but not a Data Scientist. A Data Scientist should think out of the box to get the solutions not merely using a tool. They should go beyond using a tool to derive at solutions; instead, they need to master essential skills such as the application of various predictive modeling techniques. We do not deny that learning tool will help you, but it is not the only thing that makes you a good data scientist. 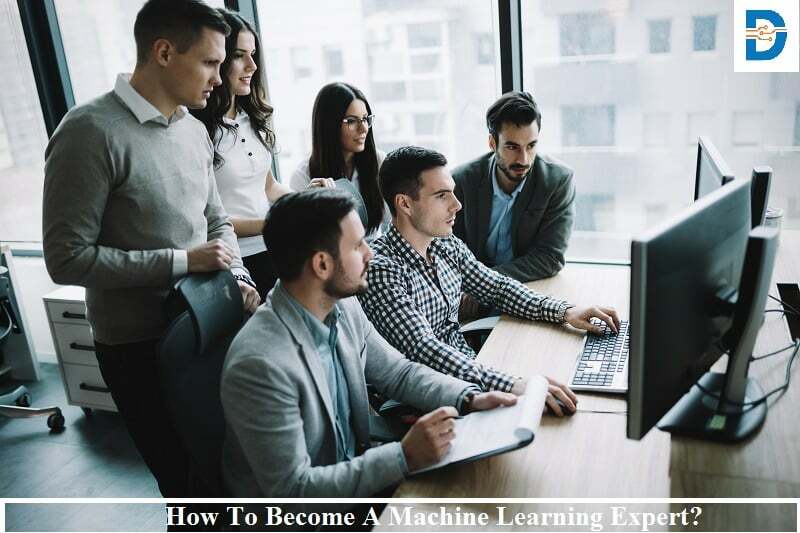 Yes, mastering a tool creates hope of easy entry into the world of analytics but companies hiring data scientists will not consider the tool expertise alone; instead, they look for a professional who has acquired a combination of mathematical, programming and business skills. Concentrating on developing knowledge on a particular tool is good, but it is a better option to choose a course that helps you to acquire all the required skills with exposure to tools as well as real-time examples. Yeah, AI is the talk of the town, and we accept it. Also, there is a fair amount of chance that a machine will do some of Data Science activities, but if you ask me whether it will completely replace a Data scientist’s work, well the answer is no. Though machines are carrying out the work, Data scientists are much needed to instruct them on how to do the tasks. Automating Data science by building sophisticated algorithms are happening out there, but we still need a person with sound judgment and domain expertise who will tell the machine what to do. Essentially, a Data scientist’s work is to find the hidden trends and patterns from a vast amount of raw data by using tools. However, it is not essential that they need to use only complicated and sophisticated tools all the time. They can use user-friendly visualization tools, interactive data exploration tools, some business intelligence tool or even easy tools that doesn’t demand much of tool knowledge. 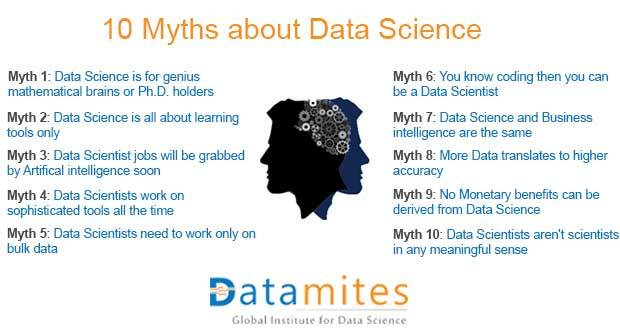 As we discussed in Myth#2, it is not just the tool expertise instead Data Scientists should know how to derive at profound insights even using a primary spreadsheet. The perfect quote for Data Science is “one shoe does not fit all.” Since a data science project might use an array of tools at different stages, a data scientist should always know about the current significant technological advancements to make the appropriate jump to any tool or technology whenever needed. Many mid-size businesses are thinking that they should employ a Data Scientist only if they have million customers and piles of unwrapped data. Similarly, Data scientists also believe that they can work only if there is a humungous amount of data that doesn’t fit the excel sheet. That is not the case at all. It is indeed true that Data in bulk is the goal, but you don’t need millions of customers to derive useful business insights. There are four essential V’s implied by IBM, and they are volume, velocity, variety, and veracity. If there is a possibility of structuring data in any one of these V’s then Voila, you can use Data Science. Many of us think that a Data Scientist’s primary skill is understanding the programming languages and know how to code. This thought have propped because, most of the men and women turning into Data Science industry is the renaissance of the tech industry. One thing that they forget is there is a lot they need to know, just focusing on one or two of those skills is not enough. In reality, not all of the Data scientists are going to code in java, but the most relevant skill that they need to master is the data science and analytic capability. The data science roles differ according to the organization, so understand what your business needs from you and learn the skills accordingly. More often, this myth is prevailing and especially in those who are unfamiliar with the industry. However, we need to understand that they are not synonymous. It is true that Business intelligence involves working on data but it is more about the operational and contextual aspects of the organization where you will learn more about a company’s customers and audience. On the other hand, Data scientists do more of predictive analytics, and their goal is to collect enough information to build discernible patterns and insights. So don’t get confused with both of them. Data science is more about data mining and statistical or quantitative analysis to find patterns. One area, there might be a slight overlap is data mining where the use cases are somewhat similar, but otherwise, Data science is different from business intelligence. As a Data Scientist or a Business owner, this is one misconception that you need to eliminate. More data is not going to contribute more insights if proper analyzation of data sets is not happening. On the contrary, small, yet well-maintained data set might have more excellent quality and monetizable value, than a massive, but a poorly governed database. What matters the most is, understanding the data and comprehending its usage. Nothing is involved with the quantity of that data used but what it needs is, how you can use them, and where it will apply in regards to your business practices. Quantity necessarily is not equal to quality, so more data doesn’t always imply good quality. Do you know that a 10% increase in data accessibility helps in acquiring $65 million additional revenue for a typical Fortune 1000 company? When applying Data Science on the collected data from the marketing channels, one can easily derive at the best channels or sources of increased profit. You can decide on which one to select so that you can invest more in that appropriate channel to reap benefits. The insights derived from the data by Data Scientists will indirectly obtain monetary gain for the company. If we try to browse the net to find the meaning of “Data Scientists,” one quote that often pops up is “Data Scientists are not scientists.” However, we would like to tell you that every scientist is by default a data scientist and the other way around. Can any scientist will bring coherence to their study without sifting, sorting, structuring, classifying, theorizing, and presenting their data? It is not possible right; similarly, a Data scientist is also drilling deep into the data to perform his/her findings effectively. So, we can say that Data Scientists are scientists in their behavior or studying the trends and patterns of an organization and submitting useful insights. Data science helps businesses in many ways, especially on how to outrun their competitors and how to plan their future products and services. Organizations and aspiring data scientists need to understand, what data science is and how it helps the business as well as a better clarity about the myths floating in the industry. 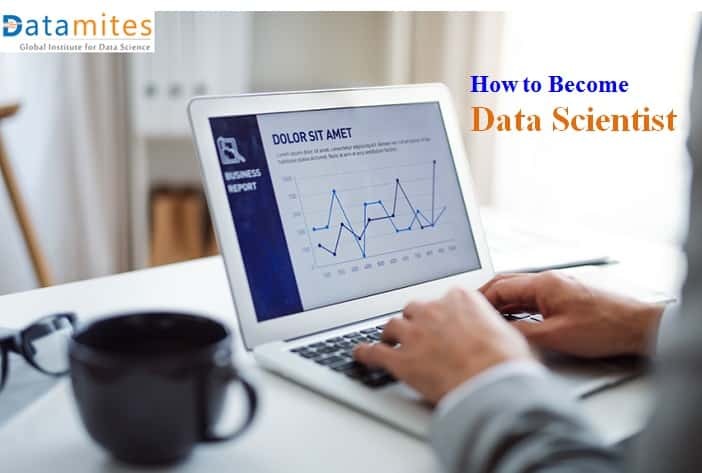 If you are an aspiring professional looking for a Data science career then remembering these tips would be beneficial. Equip your self with the right knowledge without sacrificing your persistence to learn and, Voila, you are rocketing to a successful Data Science Career. 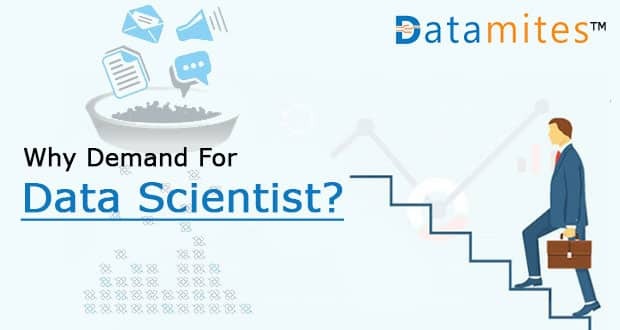 Demand for the Data Scientists is already sky high, and the aspirants need to make the right career move by equipping themselves with in-demand skills. 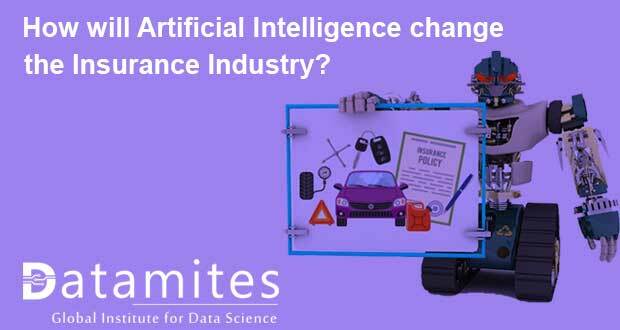 DataMites™ is one of the leading global professional training providers in Data Science. They are training aspiring candidates with a data-driven approach to work on complex data and apply the insights toward the benefit of their organization. Those candidates who are joining our Data Science course will receive hands-on training that prepares them to visualize and analyze the extensive set of data and interpret them. You will also gain the required skills to work at big organizations and leverage vast amounts of data to gain useful insights and make decisions. Previous: Why Data Science Matters The Most Now?